KFA Annual Public Lecture 2016/17 – Prof Andy Gleadow, Uni Club UWA Perth. A major collaboration involving traditional owners and researchers from institutions across Australia, the Kimberley Rock Art Dating Project is supported by the Kimberley Foundation Australia and the Australian Research Council. The project is uniquely focussed on developing a deep time framework in which to better understand the art and the people who have lived in this vast region from the Pleistocene period to the present day. Keynote Speaker: Andy Gleadow is a Professor of Geology at the University of Melbourne and the Project Leader. He is a world authority on scientific dating methods and their application in various natural environments throughout the world. The Kimberley is one of the greatest indigenous rock art provinces of the world with innumerable sites of extraordinary richness and beauty, sites of great cultural significance to the traditional owners, and also of enormous scientific interest. 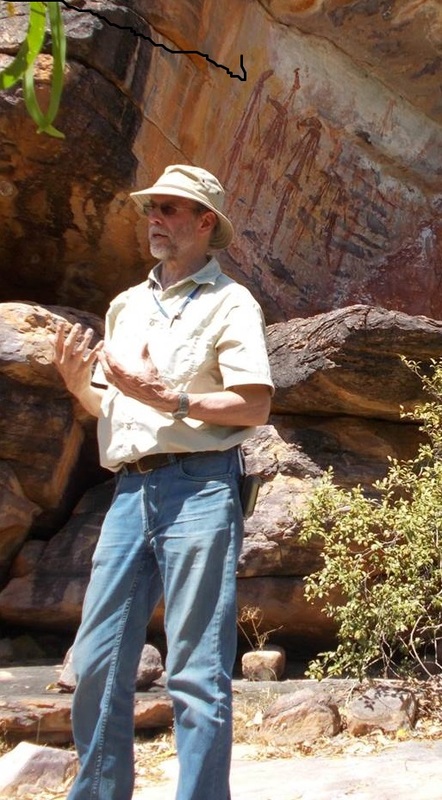 The Kimberley Rock Art Dating Project, which began in 2014, is uniquely focussed on developing a deep time framework in which to better understand the art and the people who have lived in this vast region from the Pleistocene period to the present day. Substantial progress is now being made in developing and adapting new approaches to dating rock art and four different, independent dating techniques are now producing bracketing ages for the various rock art styles. The project is also providing key insights into the natural processes that cause changes on rock surfaces and to the art over long periods of time. In this way the project will also help inform future strategies aimed at conservation and preservation of this priceless heritage. Andy Gleadow’s work has been recognised by numerous awards and medals and he has been elected a Fellow of the Australian Academy of Science, the Geological Society of Australia, the American Geophysical Union, the Geochemical Society and the European Association of Geochemistry. He also currently chairs the Science Advisory Council for the Kimberley Foundation Australia.